The most energy efficient, comfortable and safe A2 cabinet in the industry. With the optimum balance of performance and energy efficiency, our biological safety cabinets protect personnel, product and the environment, all while increasing lab productivity and user comfort. Each cabinet is backed by years of research, customer feedback, and subjected to rigorous safety testing prior to shipment. 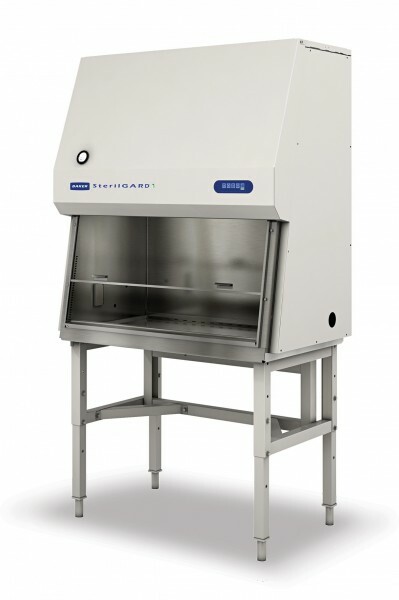 The SterilGARD® e3 biological safety cabinet from Baker offers a revolutionary airflow management system with proven containment technology that saves energy, increases productivity and improves comfort. A unique padded armrest allows the cabinet to continue operation – and maintain A2 conditions – with the viewscreen in the close position. The SterilGARD e3 is the only cabinet in the industry that offers an idle mode that is instantly safe upon resuming standard operation. The versatile ReadySAFE™ mode can be used during meetings, lunch breaks and overnights to maintain safe conditions, create a quieter work environment, and save energy. Save energy and filter costs - the revolutionary airflow management system called StediFLOW™ with a self-adjusting motor technology uses less energy and extends filter life without sacrificing performance.Increase productivity with a continuously safe work environment – our exclusive ReadySAFE™ mode allows the cabinet to continuously operate while the screen is closed. An industry first, this mode allows the user to maintain safe conditions while leaving for lunch, meetings or even overnight. Work in optimum comfort – the ergonomically advanced SterilGARD e3 is the quietest cabinet on the market with the lowest heat generation and minimal vibration, which means you'll finish your day feeling as good as when you started. Experience easier cleaning – an exceptionally reliable membrane-sealed control panel, a one-piece work surface, and radiused, cove corners allow for faster, more thorough cleaning. Reduce service and certification downtime – an innovative electronic controller with diagnostic LEDs, detachable side panels, front loading filters, and a reinforced overall panel design makes maintenance quicker and easier. Try Baker's A2 BSC Calculator! Volatile Chemicals and Class II Type A2 “recirculated BSCs: How much is Safe? 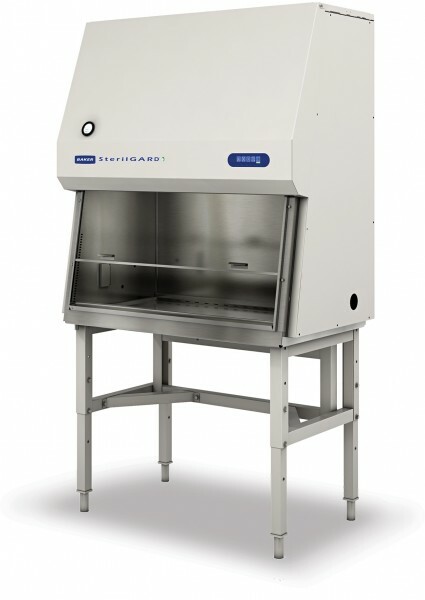 Volatile chemicals, while typically used in a fume hood, may sometimes be used in conjunctionwith biological experiments which often require the use of a biosafety cabinet (BSC). We have derived a series of equations to calculate the internal concentration, maximum amount allowed safely and the time required for the evacuation of any volatile chemical, shown both by calculation and experimentation.